Poland’s food and drink industry is becoming increasingly competitive, with exciting creations being launched by both mass and niche brands. Some of the key innovation themes explored throughout 2017 included ‘plant power’, ‘cleaner’ labels, permissible indulgence, ‘snackification’, new sensations and greater transparency. 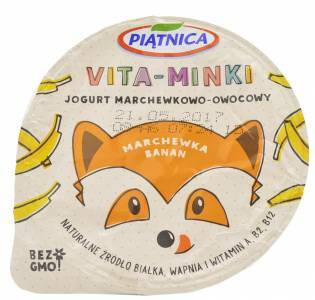 Here, Honorata Jarocka, Mintel’s Senior Food and Drink Analyst for Poland, identifies 12 of the most innovative food and drink products launched in Poland in 2017, and discusses their key selling points. 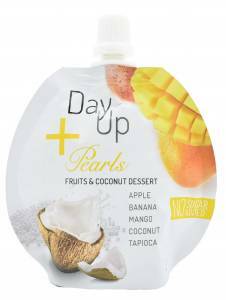 Arteta's DayUp Pearls is a new range of adult-oriented desserts that come in convenient shelf-stable pouches. Available in three flavour combinations: raspberries with blueberries, apricot with cocoa, and mango, with all three also featuring coconut cream, coconut flakes and tapioca balls. DayUp Pearls provides mindful snackers with a permissibly indulgent option given its 'clean label' positioning. With key ingredients listed on the front of their packaging, these new desserts are free from added sugar and preservatives. As they contain chewy tapioca balls, DayUp Pearls fits Mintel's 2018 Global Food and Drink Trend ‘New Sensations’ which discusses how texture is being used as the latest tool to engage the senses and deliver share-worthy experiences. 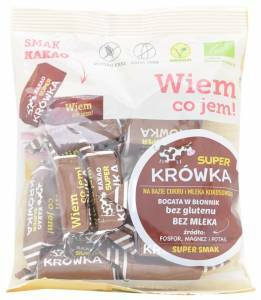 Super Krówka fudge candies (owned by Me Gusto) come in a variety of flavours, such as banana, coconut, and cranberry, and provide consumers with a blend of indulgence and nutritional values. As well as carrying gluten- and dairy-free claims, these candies are organic-certified and vegan-friendly, and are sweetened with coconut sugar. Both the packaging and the company website feature 'Wiem, co jem' (‘I know what I eat’) and 'Jesteś tym, co jesz' (‘You are what you eat’) sayings, reflecting the company's commitment to offering permissible indulgences. 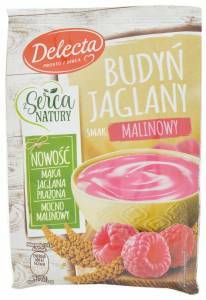 In August 2017, Delecta (owned by Bakalland) expanded its dessert mix range with millet puddings which come in three flavours: vanilla, chocolate and raspberry. Each variety is made with roasted millet flour and provides a velvety texture as well as featuring a high satiety claim. 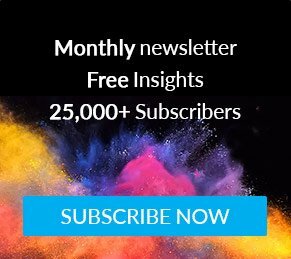 This unique creation is likely to resonate with health-conscious and variety-seeking Poles as well as discerning consumers who are looking for simple and understandable ingredients. For example, over a third of Poles claim that excessive information on food/drink packaging can make it hard to trust a brand. Launched at the end of 2017 by Poland's Aybioo, Inna Bajka on-the-go porridge pots say they’re a source of beta-glucans and superfood ingredients. There are six flavour combinations available: espresso with mulberries, mango with goji berries, cocoa with nuts, plum with sea buckthorn, matcha tea with chia, and coconut with pineapple. Their free from added sugar formulations are suitable for vegans. Packaging designs feature fairy tale inspired graphics and entertaining descriptions, suggesting that this brand could be particularly popular with younger generations. 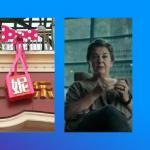 Riding on the wave of celebrity endorsement and branding, a popular fitness trainer Ewa Chodakowska, launched Be Raw! snack bars and snack balls. These are all-natural, free from gluten and enriched with superfood ingredients. 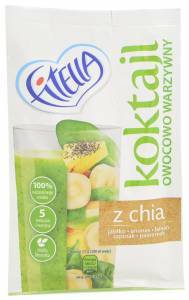 As an investor, Chodakowska launched these new co-branded snacks in collaboration with Purella Food. The Oriental Boost variety is made with dates, almonds, buckwheat flakes, mango, black pepper, cardamom, cinnamon and trendy turmeric. 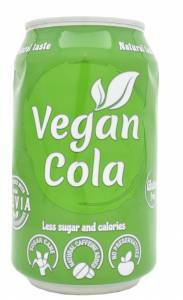 Launched by Vitamizu, Vegan Cola fits the plant-based eating trend by featuring an overt vegan claim and green-themed packaging design. This new drink is free from preservatives and gluten, is sweetened with a mixture of cane sugar and stevia, and addresses the growing interest in healthier formulations. 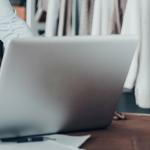 Mintel research shows that almost four fifths of Poles are concerned about artificial ingredients in carbonated soft drinks whilst nearly three fifths consider carbonated soft drinks to be ‘better for you’ if made with natural ingredients. Aimed at children, Vita-Minki yogurts feature eye-catching, animal-themed packaging designs. There are three fruit & veg flavour combinations available: carrot with banana, carrot with apple and carrot with peach. Each variety contains live yogurt bacteria and is a natural source of protein and calcium as well as vitamins A, B2 and B12. 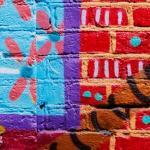 Moreover, these parent-friendly formulations are free from GMOs. Made with egg protein, dried fruit and probiotics, this new high protein shake is free from added sugar, preservatives and artificial flavours. 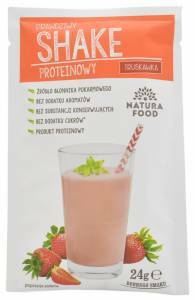 The protein boom is now gaining traction in Poland, with protein-driven innovation transforming the food and drink landscape. Although protein is a well-established ingredient in fitness and performance foods, its role in weight management, satiety and energy is rapidly growing, thus making 'high protein' an increasingly common claim. Polish consumers demonstrate a high understanding of protein and its function, with over two fifths claiming they were eating more protein in 2017 compared to a year ago. 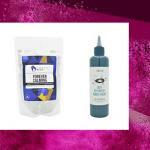 Beyond chilled and frozen formats, the Polish smoothie kit category has expanded into one-portion powdered alternatives. Their USP revolves around ease of use, speed of preparation and portability. The convenience angle is also boosted by the fact that mixing in a blender is no longer necessary. A notable example is the health- and female-oriented Fitella brand (FoodCare), which in July 2017 introduced Fitella Koktajl (cocktail). These are dehydrated fruit and vegetable smoothies with all-natural formulations boosted by the addition of seeds. 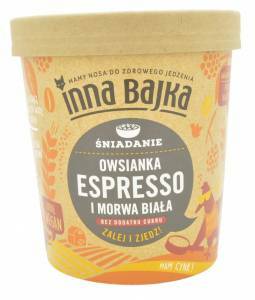 In July 2017, SyS introduced a unique dry soup range under Zielone Pojęcie label which, in a rough translation, means 'to be in the know'. These new soups are based on plant ingredients only; however, they do not feature overt vegetarian or vegan on-pack claims. Instead, '100% plant-based' messaging is used in conjunction with plant-themed packaging designs with see-through windows. 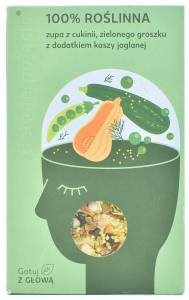 Clear graphics on its packaging also conveys wellness messages, suggesting that eating plants is good for health. 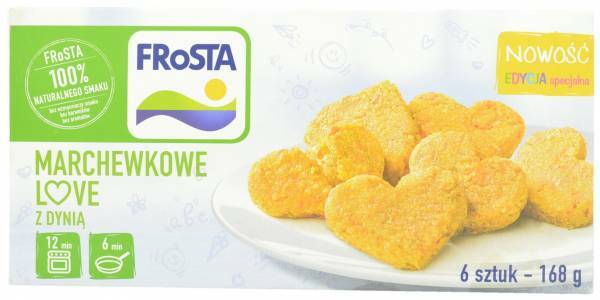 In November 2017, Frosta in Poland expanded its frozen vegetable range with vegetable-based 'mini hearts' which blur the lines between vegetable blends and side dishes. These new 'mini patties' come in two flavours: pea with basil and carrot with pumpkin, and beyond vegetable ingredients are also made with a small amount of flour, sunflower oil and herbs/spices. Each 168g package contains six units. Moving towards more emotional communication, with heart shapes is likely to help Frosta not only to stand out from the competition but also to leverage the 'good-for-you' benefits of plant-based eating.